These days, life is too busy, and my research focus has moved on to pastures new. 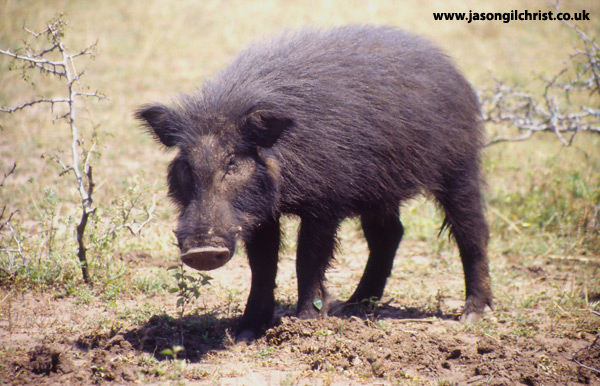 Post-mongooses, I have conducted behavioural ecology field research on chimpanzee, grey mouse lemur, and social spiders, and in recent years on a variety of large mammals for my work on stress physiology of South African ungulates (including rhino). Even in (hopefully temporary) retirement from field research, I struggle to catch-up with a backlog of research data from these projects that deserve attention. Nevertheless, one never forgets one’s roots. Having spent an intensive part of my life working with the banded mongoose in Uganda, during which I was known as “Mr. Mongoose”, it is always a pleasure to spend some time thinking about (and like) a mongoose again. When I arrived in Queen Elizabeth National Park, Uganda in 1996, I inherited The Banded Mongoose Research Project from Mike Cant, to whom I will always be grateful for his support in settling me in and introducing me to the mongooses. Mike now co-ordinates the continuing Banded Mongoose Research Project all these years later from the University of Exeter. I remain indebted to Mr. Francis Mwanguhya, Miss Emily Otali and Mr. Solomon Kyabulima, whom it was an honour to work with in the field. Their tireless dedication and enthusiasm to the mongooses and the research was of immeasurable value. Francis and Solomon continue to work with the project today – twenty years on! Even after all these years, we continue to make new discoveries, and to better understand how evolution shapes the natural world about us. Nature remains a never-diminishing cauldron of fascination via the remarkable creatures (mongooses included) that inhabit it. To view video of the mongooses and our research work with BBC Vets in the Wild (away back in 1999): Vets in the Wild do the mongooses. I was a lot younger and more fashionably dressed back then. 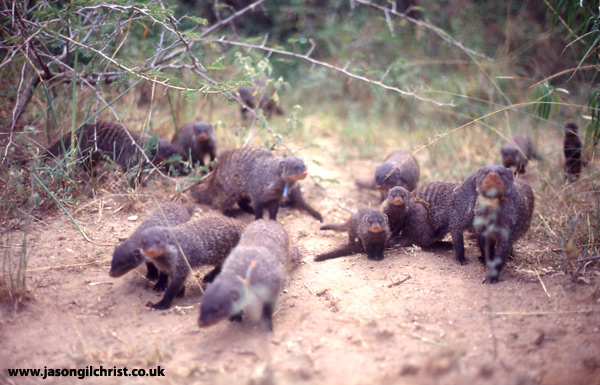 A group of curious banded mongooses (Mungos mungo), Queen Elizabeth National Park, Uganda. The header image features one of our biggest mongooses, number 17 (click Blog if you cannot see it) chilling out. To learn more about banded mongooses, and my research, visit Sharing of reproduction and care of young in banded mongooses and Effects of anthropogenic waste disposal on banded mongoose demographics. It was not all about banded mongooses. 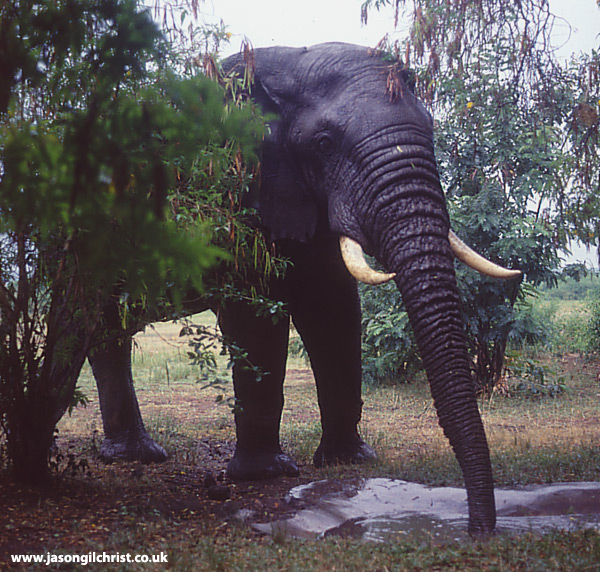 We met all sorts of other interesting creatures whilst living life with the mongooses. 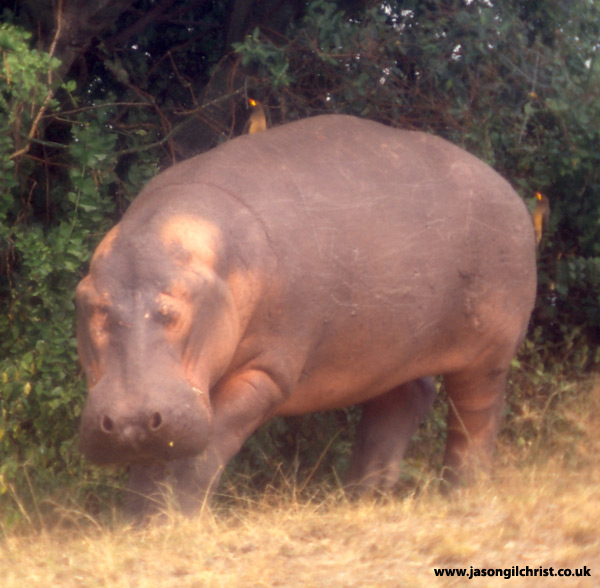 To find out more about Queen Elizabeth National Park, click here.